“Our policy is to prepare plants from mother plants so that it begins to fruit early and for long. Prior to preparing seedlings of any species, we acquire original mother plant as we need scion to develop the plants. It is a long process but worth the effort because we are sure to provide genuine saplings to the buyers/farmers. We do not believe in trading of plants,” shares Mr. Anantha Murthy Javali, founder and proprietor, Ankur Farm and Nursery. 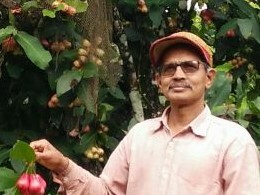 Mr. Javali established Ankur Farm and Nursery on 13 acres more than a decade ago. It is located at Ripponpete, Shimoga district, Karnataka. 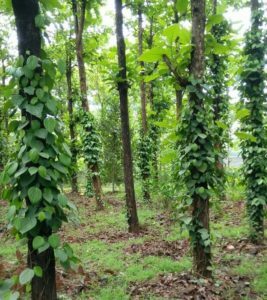 His farm has thriving mother plants of many fruit varieties and 4-5 thousand forest trees namely teak, mahagony, shivane (used for carving, substitute for sandalwood) etc. Presently the nursery specializes in grafts of diverse fruit varieties. Grafts of exotic fruits from tropical countries are also available at the nursery. All are dwarf varieties. 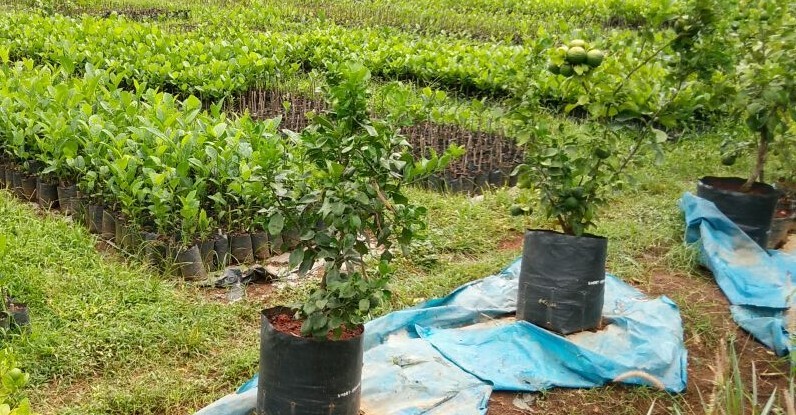 “It is best to transplant grafted plants as it starts yielding within one year of plantation. Yield of our graft plants is quite high,” he states. Appe Midi pickle mango variety and jackfruit are special highlights of the nursery. “I started with these two fruit variants because demand was high and supply was negligible. As a result within a year we received orders from all over Karnataka and formed good business network,” he adds. 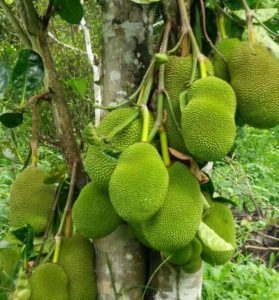 The nursery has more than 500 jackfruit mother trees of 50 + varieties sourced different parts of South India as well as exotic varieties from Thailand, Singapore, Malaysia and Vietnam too. Rarest variety available in the nursery is Cempodek (from Thailand), finger lime etc. Jackfruit saplings are high in high demand. 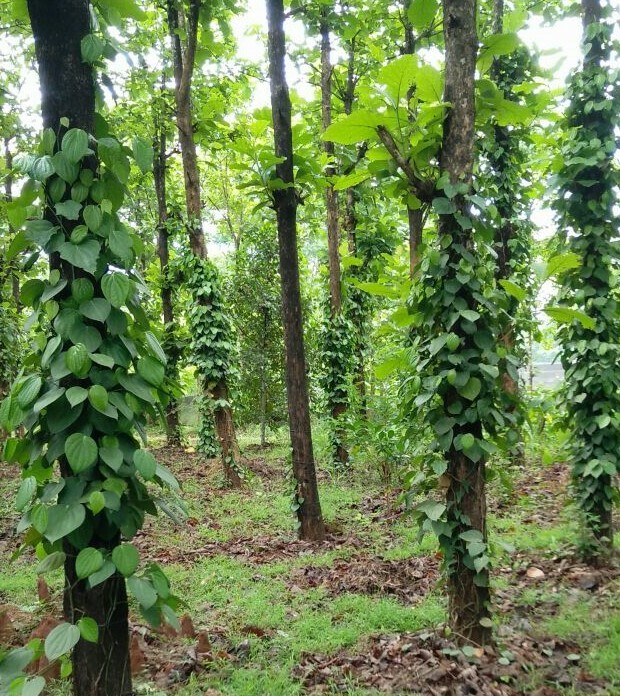 Mr. Javali has grown mother plant of the different fruits and forest varieties at a distance of 5ft. All mother trees are growing well, “And fruit trees are yielding but we do sell the produce commercially because I have to cut the branches and scion to prepare grafts. There are many methods of grafting such as bud grafting, air layering etc. Based on the species I take up the grafting procedure. First we follow easier and less cumbersome method. We will see the field performance of that particular plant. On seeing the plant in the market I can identify the grafting method used and follow the same. If it is a difficult method then different grafting process is selected. The grafts are sold only when I am assured the yield will be good,” he affirms. The growing media used for preparing the grafts is a mix of red soil, cattle and goat manure. “There is a laterite quarry near our place from where red soil is sourced for growing the saplings. The soil quality is good and when mixed with cattle manure, goat manure etc it ensures good growth of the grafts thereby our plants are resistant to pests and diseases. No liquid is sprayed on the plants as I believe in food chain,” he states. Mr. Javali served Karnataka Electricity Board for 18years. He took retirement and turned entrepreneur with an electrical workshop. He carried on for 10 years but finally being passionate about farming became full time farmer. “My ancestral land was dryland so I never tried farming although I wanted to pursue it all my life. While managing workshop I just started the nursery more as hobby. However within a year the nursery developed well and I could not work in workshop anymore. So left the workshop and became full time farmer,” he adds. “Prospects of forest and fruits are bright, be it selling it as nursery plants or establishing as orchard. These days there are thousands of tree varieties available that can be selected in alliance to weather, soil health, water availability etc. There is a variety to fit different farming conditions. I can say it as vast as ocean. All it needs is commitment to take care of the plants and rest is taken care off!” he concludes.